Ladybug wants to paint nearly every day during our little school time and I’m so sick of painting and paint brushes. So I decided to paint in a slightly different way to mix things up a little bit. I let Ladybug do some stamping with cotton balls and clothespins. 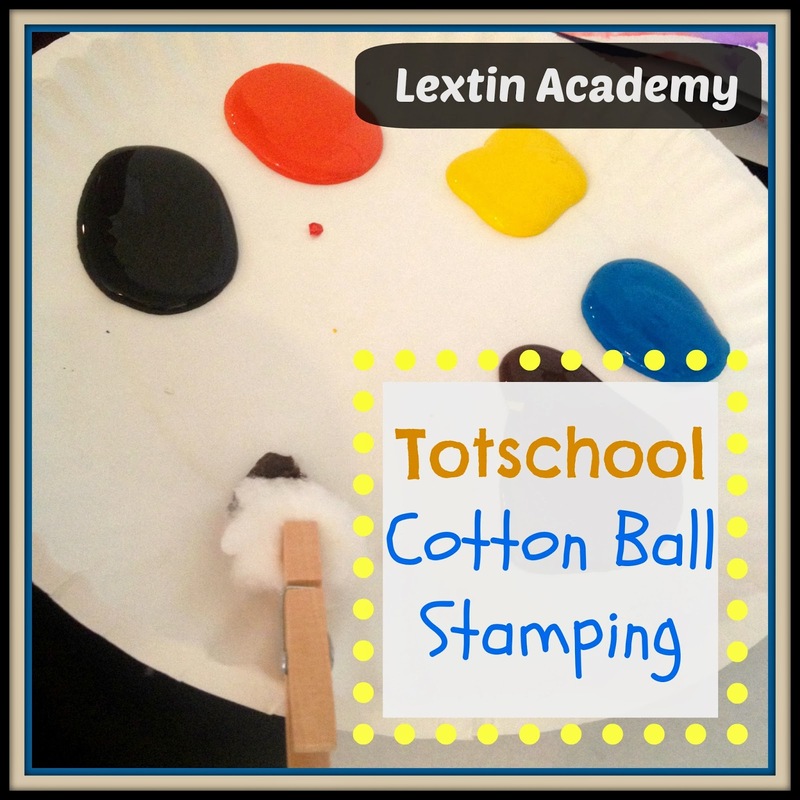 I gave Ladybug one clothespin and cotton ball for each color and she stamped away! Now I’ve got to come up with more new ways to paint! !